Cafe R&C is a dainty cafe around the corner from Via Tokyo and Waffills situated on Haven Road. 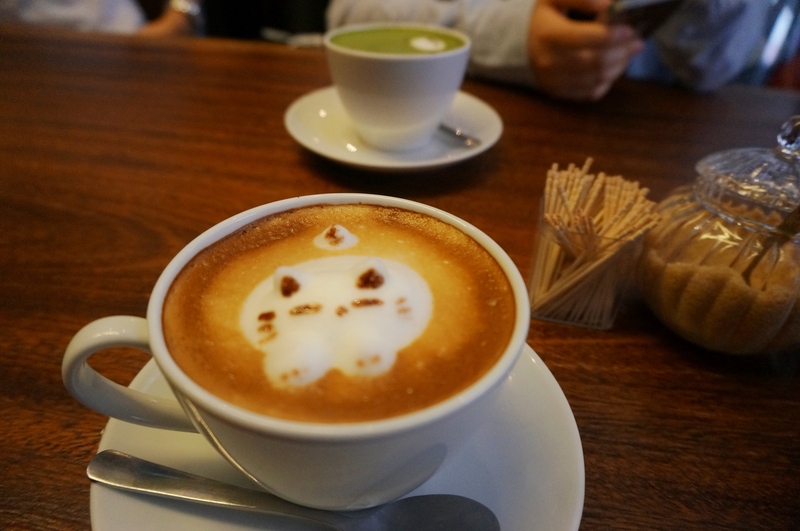 Known for doing the cutest and eye-catching coffee art in Hong Kong, they have been around since at least July 2010. Waiting is a normal thing in Hong Kong, and it’s hard to find somewhere good without having to queue first. Two visits to this place (with Fia, then Heoloi and Grace) incurred a 30-40 minute wait on average. I would recommend to come here for the caffeine kick, but not the food, having been twice, the sandwich selection and toasties are canteen style, and mediocre. I like my toasted triangles pretty crunchy but found the ones here to be too soft. Cheese used is packaged processed cheese. Scallop spaghetti was a bit too salty (presuming the black sauce they have on the menu is squid ink) and the spaghetti dry. The lattes and coffees are above standard, but I wouldn’t say it’s the best I’ve had. Cafe R&C is more to do with presentation of latte art more than anything else.